Patrick Gihana, an artiste and author tells a fictional story in his new illustrative book, "Humura Mwana", written specifically for children. 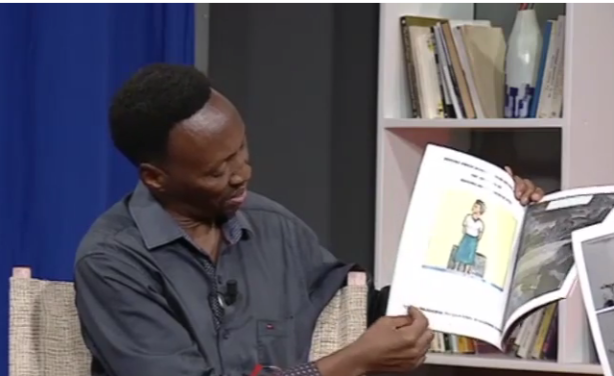 He narrates Rwanda's history since the arrival of the colonialists until the 1994 Genocide against the Tutsi in simple language, using mostly cartoons. Patrick Gihana with his book Humura Mwana.